It's April! Well... sort of I guess. While I am writing this newsletter, I can hear the freezing rain pellets outside pounding against my window. My hope is by the time this newsletter hits your inbox, the sun is shining and spring starts to show herself! But... we will not let weather stand in our way. I am bound and determined to bring you the very best this spring. I find as the weather changes, so do our attitudes towards health. 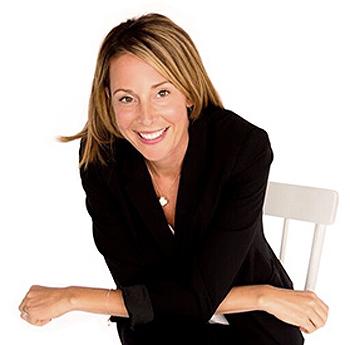 People become very ready and open to make a change – physically and beyond. So... what do you want to do? Name it, write it down and picture it in your head – over and over again. Do you want to lose weight, feel younger and more energetic or get rid of aches and pain? 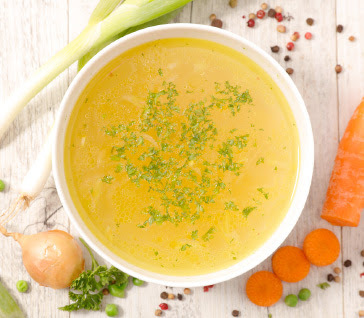 I am blessed to work with thousands of clients yearly at Shulman Weight Loss and am able to witness the transformative health that people experience when they simply change their food. Did you miss our segment on optimal aging on Cityline? From naturally growing your eye lashes to skin scrubs and collagen serums, you do not want to miss this segment. Shulman Weight Loss does it again! 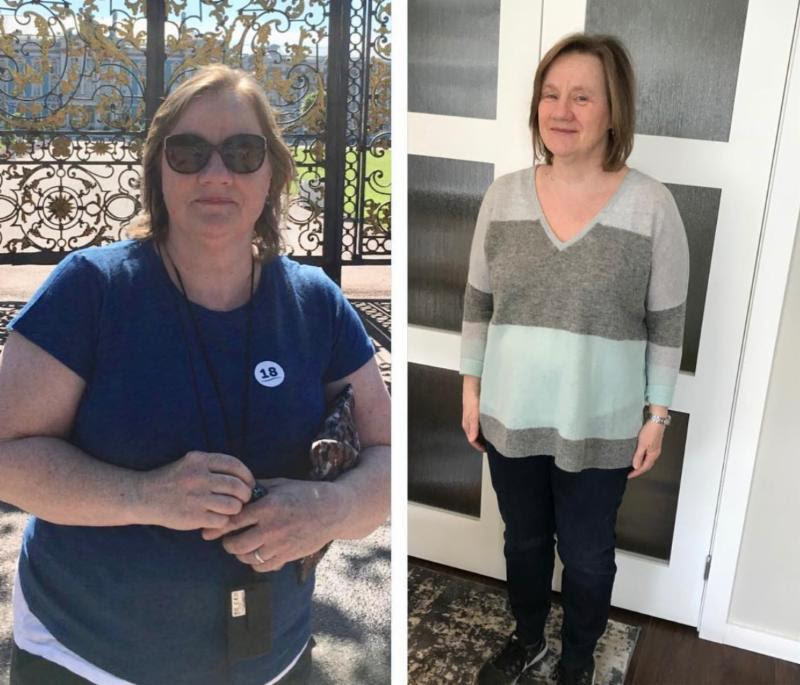 Congratulations to Anne who lost 40 pounds at Shulman Weight Loss. If you want to lose the weight for spring, don’t wait. Simply call and book in for your free weight loss assessment. Burn belly fat, boost energy, lose inches and feel your best. 3 locations available! This beautifully packaged coconut oil is crafted using a traditional cold-pressed method, without the use of heat or pressure. It is never exposed to any harsh chemicals so it is able to retain its natural state that is high in both antioxidants and antifungal properties. 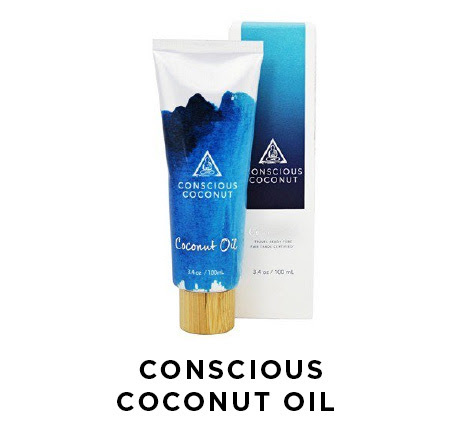 Conscious coconut works directly with growers and factories to source certified organic, cold-pressed and virgin coconut oil from fair trade farms in Thailand and the Philippines. Best of all, for every purchase made, a child is given a meal. Some great uses for coconut oil include face wash, hair conditioner, make up remover, after sun care, itch relief from bites, and body moisturizer. Available on amazon or at Holt Renfrew. These creamy, dark chocolate seed butter cups are made with fair trade chocolate and filled with delicious sunflower seed butter – making them safe to bring into nut-free facilities! They are also free from the top 12 allergens, including peanuts, dairy, gluten, tree nuts, egg, sesame and soy. 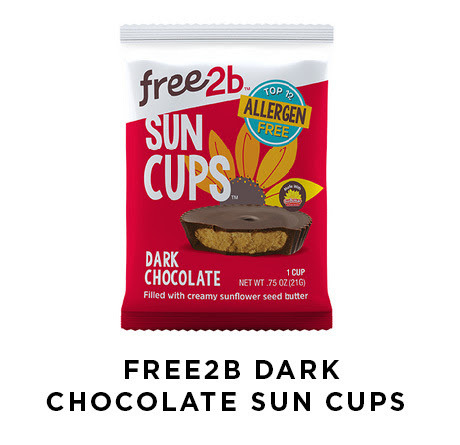 These delicious cups make the perfect chocolate snack when you are craving something sweet as the healthy fats from the seed butter will help to keep your blood sugars balanced. 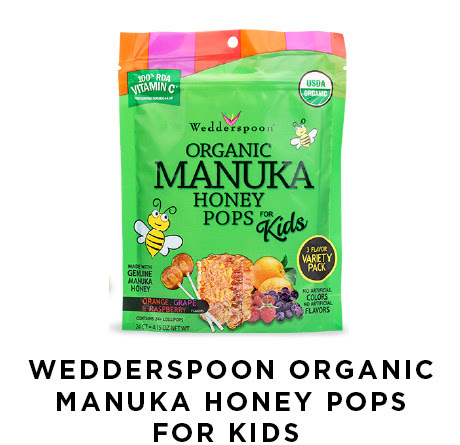 These handy organic Manuka honey pops by Wedderspoon are perfect to have on hand for the kids when they need an immune boost! 2 pops contain 35 calories, less than 10g of sugar and also offer some powerful immune boosting vitamin C. Avalilable in a variety of flavors including grape, orange and raspberry. 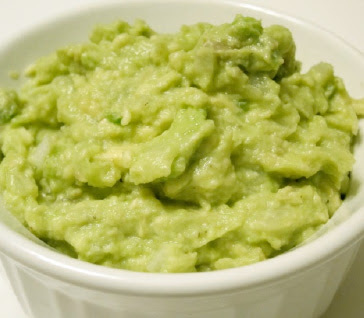 Loving guacamole and its amazing health benefits but finding it browns too quickly? You are not alone! 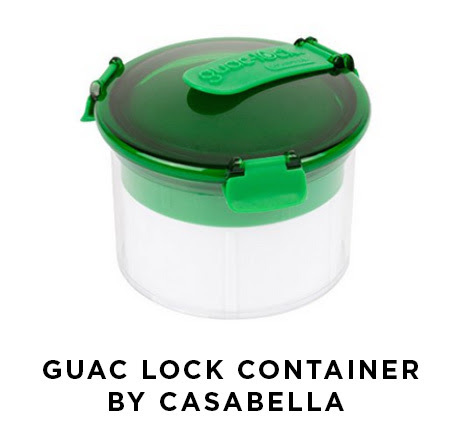 This guacamole container by Casabella removes all of the air out of the container to keep your guacamole and avocados fresh and helps to prevent quick browning. The push up mechanism is very easy to use and small enough to store. It is BPA free and dishwasher safe. This easy-to-use container is a must have for every kitchen this spring! Spring is all about cleaning and detoxifying and what better way to do so than than with the well know super food – matcha! 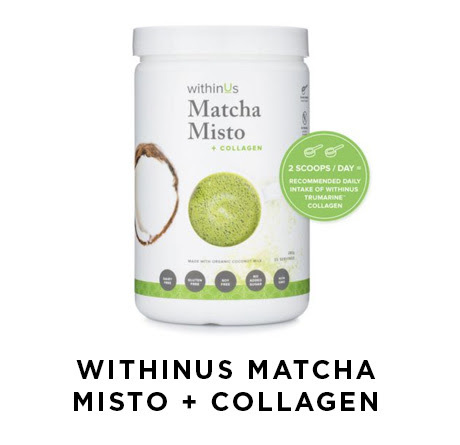 This clean and organic matcha powder by WithinUs offers certified organic, grade A premium matcha, 2.5g of premium select grade collagen powder, and certified organic, ethically sourced coconut milk powder. It is free of dairy, soy, gluten and is made with non-GMO ingredients and no added sugars. Wondering what the benefits of matcha and collagen are? They are a rich source of antioxidants, provide a stable energy boost, promote healthy hair, skin nails and joints and can help to improve concentration. Add all ingredients into blender and blend on high for one minute, or until smooth. Add all ingredients into food processor and puree until smooth. Enjoy with brown rice crackers or veggie sticks. Place pine nuts in a dry skillet, and toast until golden brown, for about 3 minutes. Place kale and bay leaves in a food processor. Add toasted pine nuts, garlic and kosher salt. Pulse until kale is finely chopped. Drizzle in olive oil, and continue to pulse until the pesto reaches the desired texture. Add zucchini noodles onto pan over medium heat and warm up for 1-2 minutes. 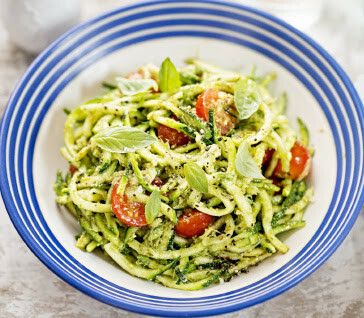 Add pesto onto noodles and toss. Place rice wraps on a roomy counter or tabletop together with a large bowl of hot water. Place one of the rice wrappers into the hot bowl of water and keep in place for 30 seconds to 1minute to allow to soften. When the rice wrapper is soft, remove it from the bowl and place on a clean surface. Add shrimp, slice of avocado, pepper slices and fresh basil. Then fold over one end. Continue by folding the other end over. Then lift the long side of the wrapper and tuck itover the filling to create a roll. 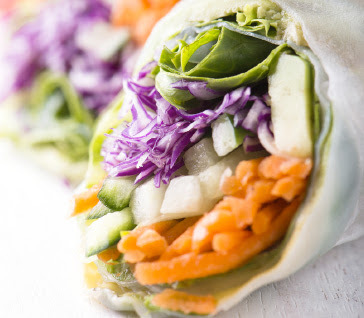 Roll up the remaining rice wrap, pressing the ends to secure it and enjoy! In a large saucepan, cook the ground turkey or chicken, and onion over medium heat until meat is no longer pink; drain. Then add remaining ingredients and cook on medium heat until vegetables are soft – about 1-2 hours. Get in some vitamin D – After a long, cold winter, it is time to boost your vitamin D levels and get some sunshine. A mere 15 minutes per day is all you need to naturally boost your vitamin D stores. Track it – Go back to tracking your daily food intake and movement. This will help give you an idea of what you need to change. You can always download our Food Trakker app to help keep you accountable and organized. 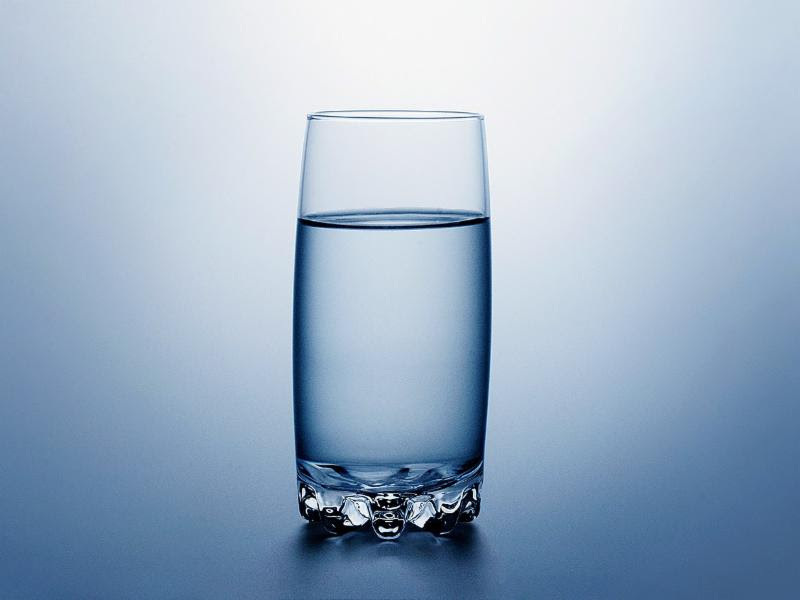 Hydrate – Keep up with your water intake and hydrate your body with 8 glasses water per day – iced herbal teas or lemon water work well too! Do a cupboard cleanse – Take everything out and put only the good back in. Get rid of any treats or temptations hiding in your cupboard from the cold winter months and start fresh. 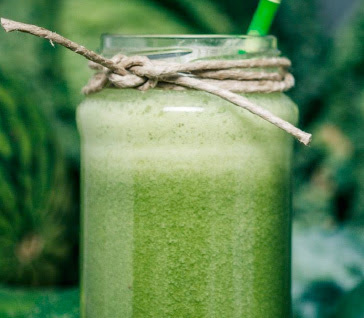 Detox – Whether it is incorporating green juices, adding chlorophyll or lemon slices into your water, or going grain-free – a short 5-10 day detox will help you get ready for the season ahead. 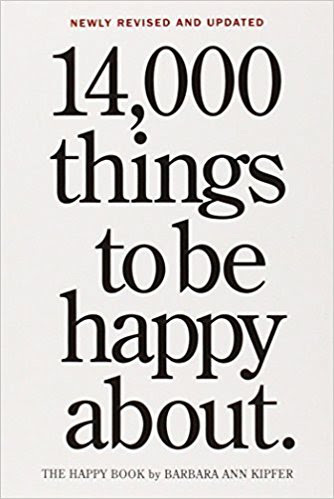 14,000 things to be happy about by Barbara Kipper When you focus on happy, more happy comes. Why? An attitude of gratitude changes everything. The uplifting book 14,000 Things to Be Happy About by Barbara Ann Kipper offers a list that is guaranteed to put a smile on your face. A feel good read for people of all ages.